24 Low-Carb Breakfast Recipes - Ditch The Carbs - start TODAY! ⇒ Who else wants to start the day with a simple low-carb breakfast AND stay on track? ⇒ Who else wants their family to avoid sugary granola/cereal AND not have the sugar crash that usually follows? ⇒ Are you tired of eggs, eggs, eggs … then this is the book you need. 24 Low-Carb Breakfast Recipes is perfect to kick start your healthy low-carb day each morning. All the easy recipes are sugar-free, gluten-free, grain-free and low-carb. The digital eBook is perfect to solve all your morning breakfast problems and help you stay on track. 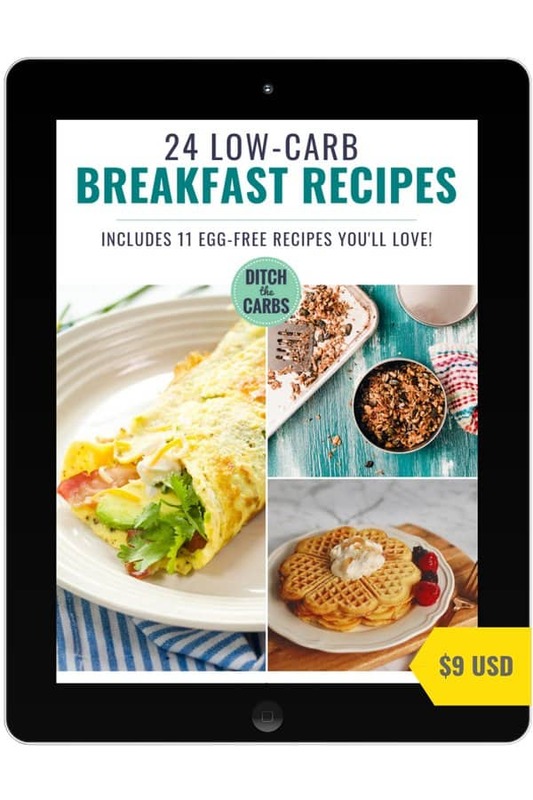 Your low-carb breakfast recipes eBook have a selection of easy healthy breakfast ideas that you can use every single morning. Waffles, smoothies, low-carb bread, chia jam and even a breakfast burrito! And remember, get your kids to make them. Being handy in the kitchen is a life skill, opening a granola/cereal bix, isn’t. 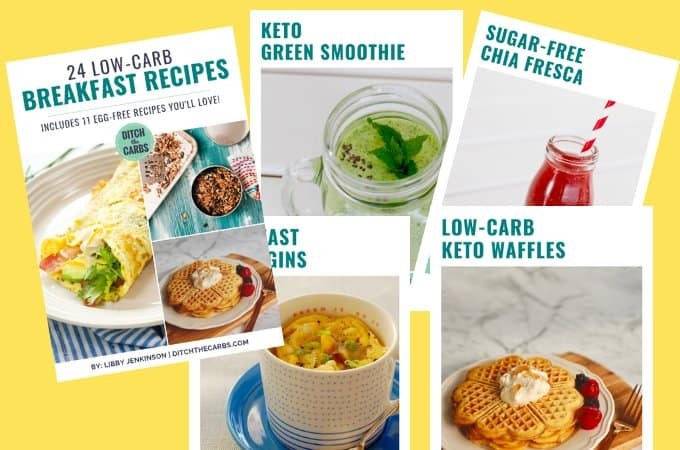 Buy the 24 Low-carb Breakfast Recipes for yourself or as a gift for a family or friend who is bored with their breakfast routine. This is the perfect easy way to get started. Who says low-carb is restrictive? We live like kings and these recipes will help you party with friends and family and not feel left out. All the recipes are made with basic and easy to find, simple ingredients. When you purchase your eBook, you will be able to access it immediately for worldwide download. Living low-carb doesn’t have to be restrictive, boring, difficult or dull. It’s anything but. Eating real food shouldn’t be complicated. Food should be easy and simple. 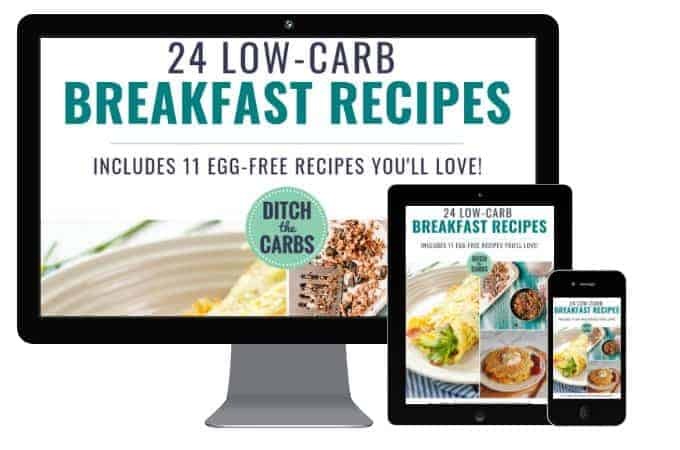 Get your own copy of the 24 Low-Carb Breakfast Recipes so you can start today and feel proud of yourself for making this first step to the new family you have always wanted to be.